KNOW MORE. GROW MORE. "REQUIRED READING" FOR A SMARTER WRITING CAREER. "Required reading" for today's smart writer. They say insanity is continuing to do the same thing over and over again and expecting different results. Sometimes I feel that I’m insane trying to publish new authors in the world of “traditional publishing” focused almost entirely on brands. As a story merchant who’s repeatedly found ways of getting new voices noticed, I used to pride myself on being called someone who “thinks outside the box.”Today I’m not sure there IS a box. Or if there is, it’s rapidly changing shape. The paradigm of getting published is not only SHIFTING, it’s SPINNING. The ONLY CONSTANT today is the continuing and accelerating need for CREATIVE CONTENT. The best kind of property to create is intellectual property. If you had a choice, wouldn’t you rather be Bill Gates than Donald Trump? Given this situation, what to do? Every minute of every day is an opportunity for you to use or to waste. Energy creates even more opportunity, and opportunity is the yellow brick road to success. Clarify your dream, believe in it, and use all your resources to make it happen. The bigger you think, the smaller the competition and the more you’ll be heard. Don’t be afraid of your biggest dreams. They may very well be the easiest ones to turn into reality. They’re the ones that will attract the most potent allies.Of course my companies continue to work for CONTENT PROVIDERS “inside the box” in all media, as witness the sales of Gerald Blaine's The Kennedy Detail and Clint Hill's Mrs Kennedy and Me and the continuing progress of Paramount’s “Ripley’s Believe-It-Or-Not!” with Jim Carrey starring, Chris Columbus (“Harry Potter”) directing, and Eric Roth (“Incredibly Close And Extremely Loud, Benjamin Buttons”) writing the production script. 1) My partner Chi-Li led us to form a new Reality TV division in joint venture with Renegade (“Blind Date”). We’re already developing three shows! Bring us high-concept ideas attached to big colorful personalities. 2) Working with AEI client Michael Simpson at Informant Media, we’ve formed a new low-budget division, now having equity funding for a slate of 6-8 $3mm-$6mm films. Looking for elevated genre thrillers, Horror, action, family with directors or cast or supplemental financing attached.The important thing for all of us is to continue seeing the opportunities around us, worrying not about the economy, as Nik Halik says, but your economy. Trust in the power of your own imagination to find a way through the darkness toward the light. To learn more visit his site at Storymerchant.com. 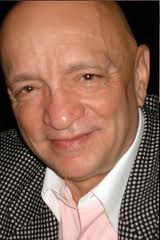 With more than forty years experience in the publishing world, and twenty years in entertainment, Dr. Ken Atchity is a self-defined "story merchant" - writer, producer, career coach, teacher, and literary manager, responsible for launching dozens of books and films. His life's passion is finding great storytellers and turning them into bestselling authors and screenwriters. Ken has produced 30 films, including "Hysteria" (Maggie Gyllenhaal, Hugh Dancy, Informant Media), "Expatriate" (Aaron Eckhart, Informant), the Emmy-nominated "The Kennedy Detail" (Discovery), "The Lost Valentine" (Betty White; Hallmark Hall of Fame), "Joe Somebody" (Tim Allen; Fox), "Life or Something Like It" (Angelina Jolie; Fox), "The Amityville Horror" (NBC), "Shadow of Obsession" (NBC), "The Madam's Family" (Ellen Burstyn; CBS), "Gospel Hill" (Danny Glover; Fox), and "14 Days with Alzheimer's" (with Story Merchant client Lisa Cerasoli).Films in development include "Memories of 100," "Meg," "Boobytrap," "Demonkeeper," "Dr. Fuddle and the Golden Baton," and "Ripley's Believe-It-Or-Not!" (starring Jim Carrey; Paramount). A special thanks to Dr. Ken, for this inspiring and informative post. Professional, veteran freelance writer, columnist, Pro Blogger, and "Ghost" writer with about 700 publishing credits, reflecting an array of topics, in multiple genres. My work has appeared in popular, award-winning sites and national magazines, for over a decade. I'm the former Senior Editor of Mahogany Magazine. I also serve on the Board of Directors of C.W.A. Chosen "60 of the Best Minds in the Blogosphere"
What I'm Reading...And You Should Too! Includes a chapter I authored on creative collaborations. Read my chapter on "Branding"